I just created my latest and greatest site this time for my own use. 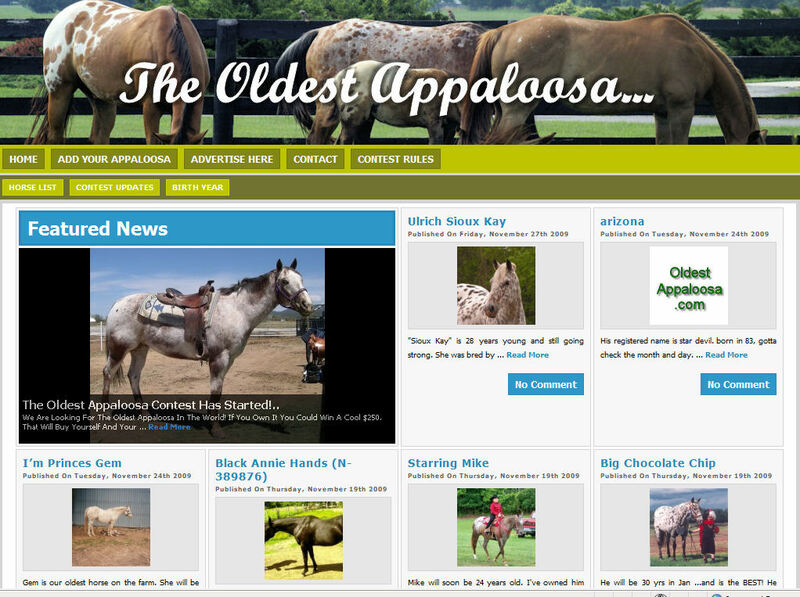 It is designed to find the oldest appaloosa horse in the world. It uses one of my newest templates I have been working with as well as a neat little plugin to allow the viewers of the webpage to add their own content to the site. The form plugin even allow them to upload thier own photos. I also changed the header and added the catagories by year. You can see more of it at www.oldestappaloosa.com. If things are successful I might also run a site for other breeds of horses or anything for that matter. All generated by the users and funded by advertisers.